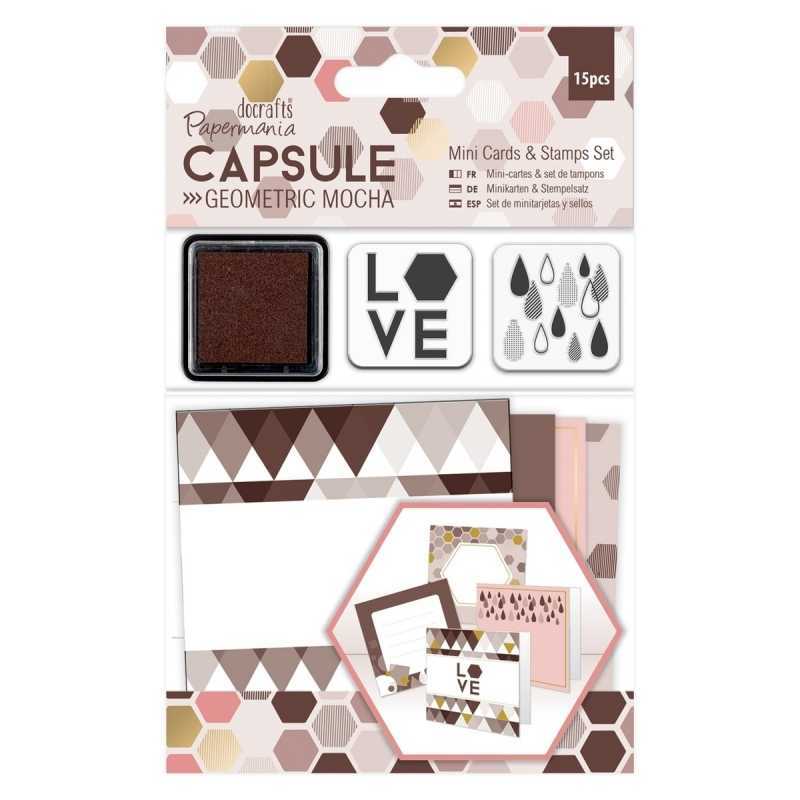 Papermania Geometric Mocha mini cards and stamp set containing 6 cards, 6 envelopes, 2 clear stamps and a stamp pad. You can use the ink pad lid as a neat little stamping block for the clear stamps. 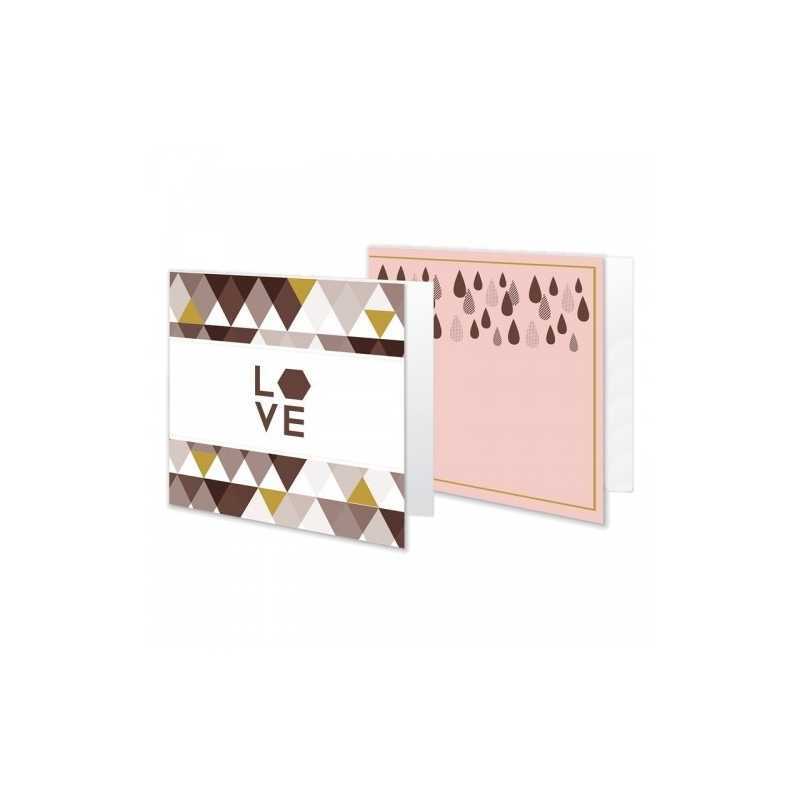 The cards are 7.5cm square.